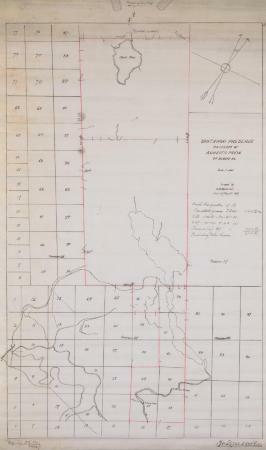 Santanoni Preserve Property of Robert C. Pruyn of Albany, N.Y.
Tracing of 1892 map of the Santanoni Preserve, in the Adirondack Mountains. Scale of one inch equals fifteen hundred feet. Source: Adirondack Museum Library, MacIntyre Iron Works records, MS 65-27, box 5, no. 91.